Every oven needs professional cleaning from time to time when it gets filled with grease and food leftovers. You can rely on us to ensure the proper functioning and impeccable condition of your cooking appliances. Our staff of qualified cleaners can provide the oven cleaning which you need in your home, restaurant and other commercial property. Use our excellent cleaning services to maintain your cookers in flawless condition. 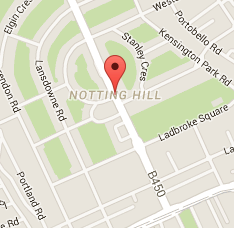 We offer inexpensive and reliable oven cleaning to the residents of W11 Notting Hill that is available daily. 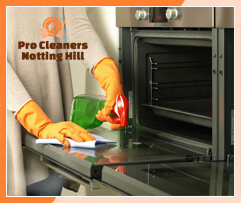 If you need help with the cleaning of your oven, use the services of Pro Cleaners Notting Hill. We offer them one off and regularly as often as the customer requires. Our cleaning staff will dismantle the removable parts to soak them in our dip tanks that are mounted in our vans. They will remove the carbon deposits and stubborn stains from the oven parts. While these components are being soaked, our technicians will remove the glass panels from the oven door. They will polish and scrub the glass panels on both internal and external sides to remove the stains and drips. After the door and glass panels become perfectly clean, our technicians will reassemble them. The oven cleaning in Notting Hill includes full sanitising of the inside and outside of the appliance. Our employees use special cloths, stain removers, degreasers and cleaning solutions. We guarantee you great results of the oven cleaning that we provide in W11 Notting Hill and the rest of London. If you want to use your oven long time and keep its hygienic condition, rely on our staff to sanitise it. We offer easy to afford and qualitative oven cleaning in Notting Hill London which is available seven days per week.